The books in this series are designed to heighten children's awareness of the truth of God's creation. 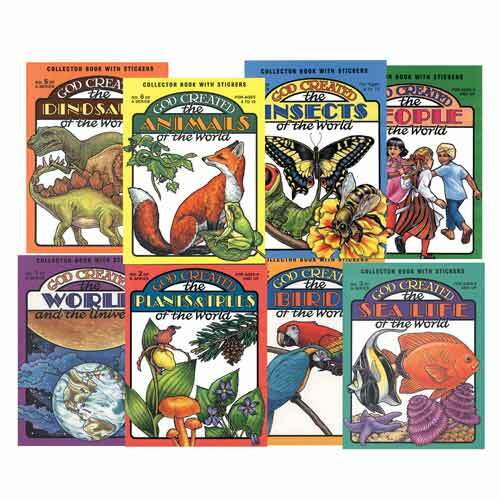 Combination coloring and sticker books, they also contain information that will help children understand the chronology of creation and the reasons we are to care for what He has entrusted us with. The center of each book contains 32 full-color stickers that match the drawings. Children can place the sticker with the drawing, giving young artists a color guide. For ages 4-10. These books also make great pattern books for visual aids. Covers vary. Order by title.